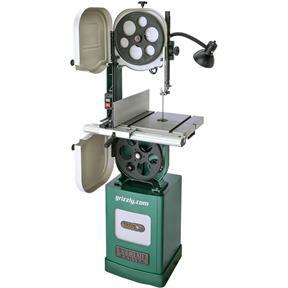 Building on the longstanding success of the G0555 series of bandsaws, the G0555XH takes this bandsaw line to a whole new height with its 12" of resawing capacity. That’s an increase of 6"! While this resaw capacity can be attained on our other models using an extension block kit, the G0555XH spans the distance with a single-piece upper frame. 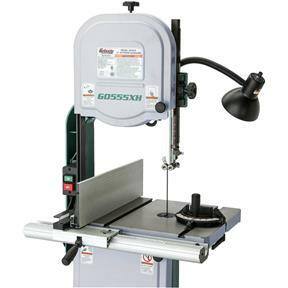 The G0555XH also features the largest motor among the G0555 bandsaws at 1.75 HP (prewired for 110), a larger precision-ground cast-iron table, and rack-and-pinion guide post--typically only found on much more expensive bandsaws. 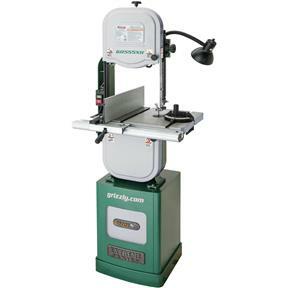 Lastly, the G0555XH is chock-full of standard features: 4"dust port, included 3/8" 6-TPI blade and miter gauge, work light, computer-balanced cast-iron wheels with polyurethane tires, quick-release blade tension, and heavy-duty cabinet with storage shelves. 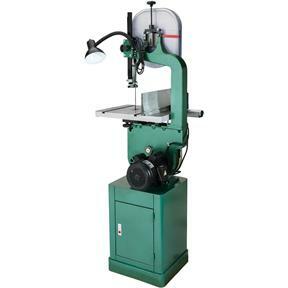 Do yourself a favor and check out this bandsaw! Table size: 16-1/8" x 21-3/4" x 1-1/2"
Approximate shipping weight: 337 lbs. 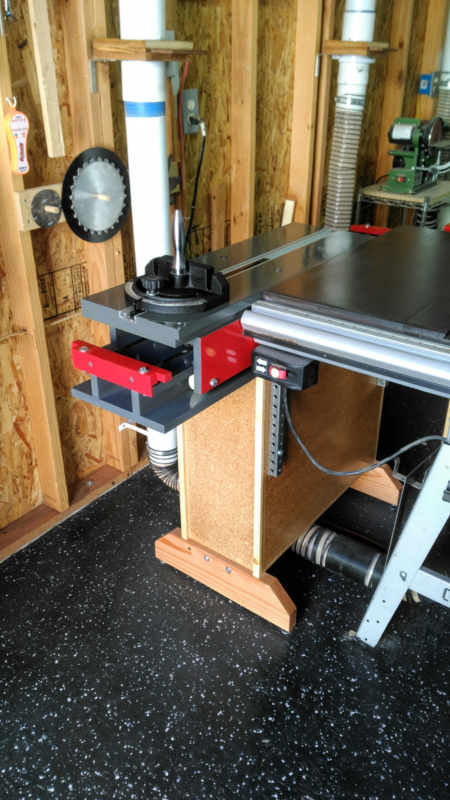 I've been upgrading tools this year in an effort to get away from store-bought lumber and into rough-sawn lumber, while still staying within the limits of my 110 V garage. I ran across a great deal for 5" x 12" x 12' cherry that I wanted to use for some box tops used as wedding gifts for my wife's ministry services. 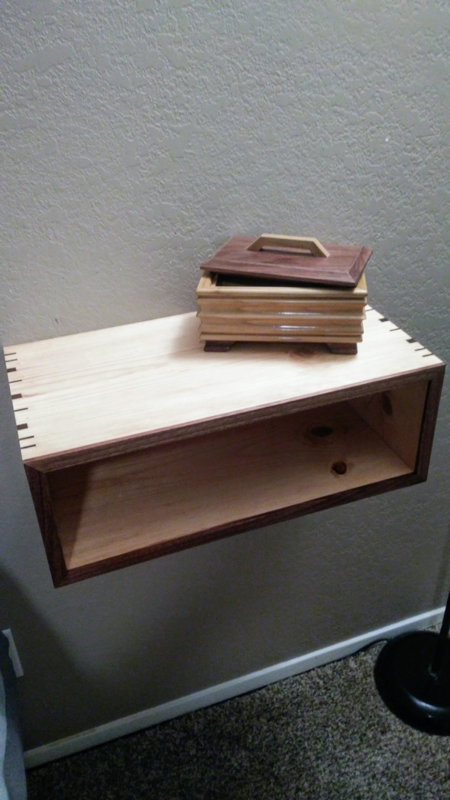 The tops needed to be 12" x 8", which was far beyond what my Craftsman 10" bandsaw could manage. 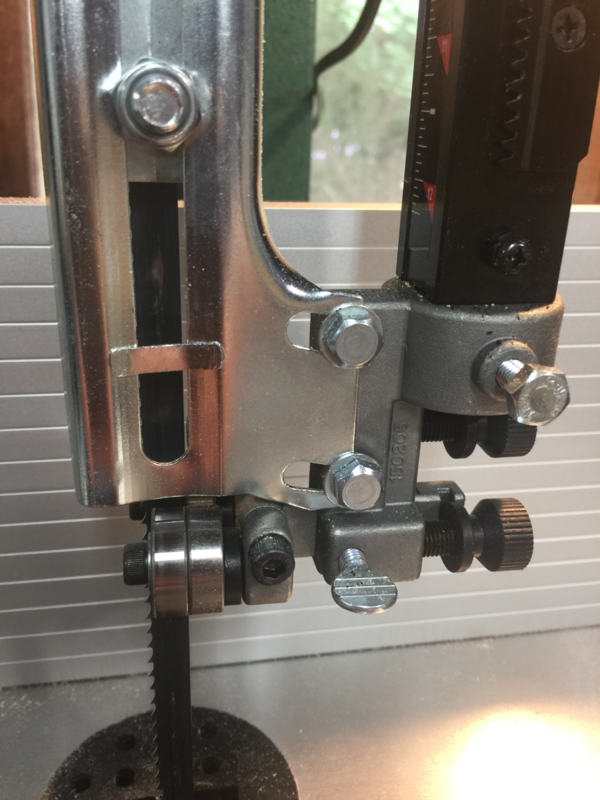 This was at the upper end of what this bandsaw can support, but it definitely handles it. I replaced the factory 3/8" x 6 tpi blade to 1/2" x 2-3 tpi, lined up the board, and used a slow feed rate to end up with great results. 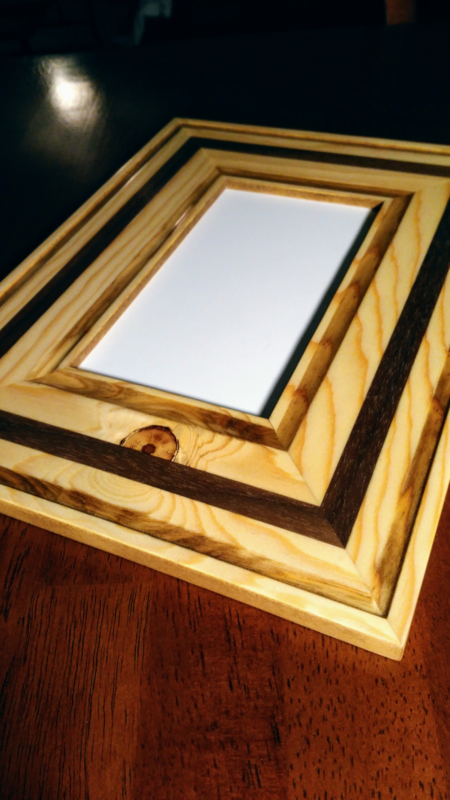 It's been a pleasure with the large cherry boards, and handles smaller oak, walnut and maple with equal ease. I have run a few feet of 9" tall walnut through it and had to pause along the way to keep the blade from over-heating, but that's just physics and no fault of the bandsaw. Bottom line: Great bandsaw for my needs and I'd buy it all over again. Very quiet, Taiwan makes very nice equipment, you can't beat the price, grizzlies shipping is a little out of line. Bought this saw a couple weeks ago and after cutting about 40' of 3" thick Siberian Elm, the blade was shot. I adjusted everything before starting to make sure I would get a true cut, but didn't expect the blade to get dull that quick. I saw in other reviews people said the blade was low quality but expected it to last a little longer than midway through the first project. I would recommend having a backup blade on hand before start otherwise you will be stopping pretty early on to run to the store for a new one. Just finished setting up this new bandsaw. Delivery was fast and the Ups driver could not have been more helpful. Saw was packed in a wooden crate and was essentially already assembled. What you do have to assemble is made easier by the factory as each part has the nuts, washers and bolts packaged separately and you dont have to search and wonder if this bolt is the correct one. 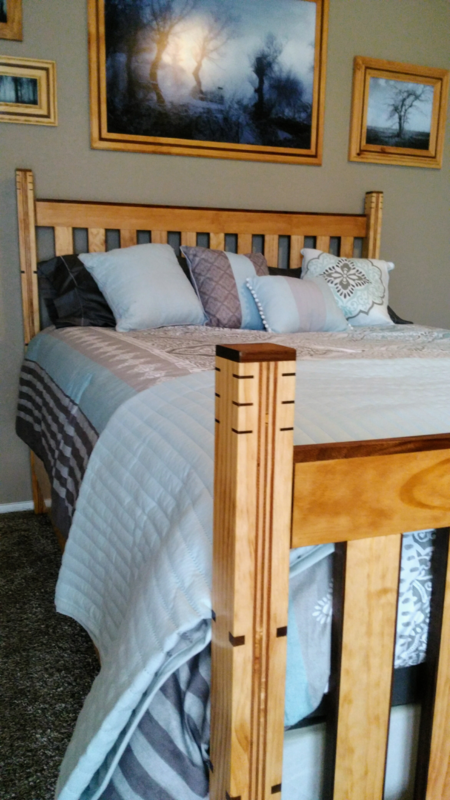 Follow the instructions to attach the table, fence, feet and adjust the blade guides and you are ready to go. I did have to do a little adjusting to get the blade tracking in center of the wheels. The hardest part of the whole setup process is removing the rust preventative from the table. Get a good grease remover and plastic scraper and have at it. Saw is extremely quite with little vibration. I stood a nickel on its edge and it had no problem staying upright. Thank you Grizzly for a great product. This is just what I needed to prepare woodturning blanks. ordered saw and a blade, got them both on time, great ups driver, very helpful. tuned the saw and it cuts fine. ordered two more blades and they got here also. interesting two blades shipping was less then the single blade. everything was in the package, delivery went well, took a while to get the "grease" off the table, i like the fact that you do not have to take the left-hand guard off to change the blade like on the craftsman. mounted it on a 36x19 roller base and it does feel a little top-heavy.. once we got it tuned it became fairly quite. I bought this band saw, because it is just what I needed. The machine seems to work just fine. The saw is attached to a cabinet base with bolts. The base is an enclosed cabinet, and you can't get at the bottom from inside. 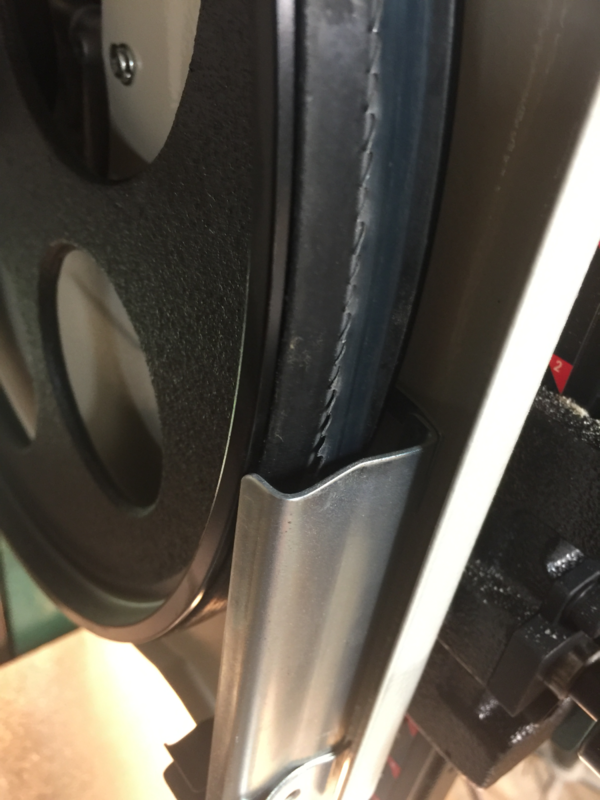 To install the leveling feet, you need to tip the saw on its side. Grizzly didn't put it in the instructions. I didn't want to do that, because, I'm 65, and not as strong as I was when I was 20. What I should have done, is to separate the saw from the cabinet. I put it on the bear claw mobile base, which is basically too big. Grizzly should have suggested the correct base. What would be nice to stabilize the saw, is to bolt the cabinet base to the mobile base. I'm sure the engineers can figure a way to do that. 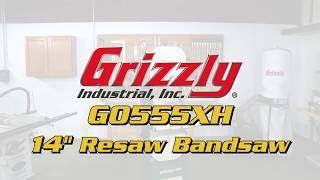 I finally bought the Grizzly 14" Extreme Series Resaw Bandsaw after about 6 months of reading reviews and asking questions with local woodworkers. This bandsaw makes my woodworking project much easier---I shouldn't have waited the 6 months. 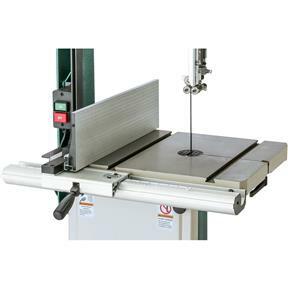 I received the bandsaw about a month ago and have used it frequently with resaw projects. Does exactly what it is suppose to do. I did order new bandsaw blades after the first couple of weeks. The supplied bandsaw blade didn't wear well. This was expected though. The setup and calibration was well described in the manual. As usual, the blade guide underneath the table are tough to access for calibration, but workable. I cannot comment on the dust control system, I still need to buy a 4" to 2.75" vacuum reduction coupling. Right now, I just blow out the saw dust with an air hose. Everything works fine. The only exception was the on/off switch malfunctioned---a quick call to Grizzly and a new replacement is on its way. I have to agree with the delivery process, UPS isn't the most proactive in getting the product to you and mine was delayed for 4 days due to their internal hiccups. So far I love the saw, set-up was easy and its definitely worth taking your time and doing it right. This saw runs smooth and quiet and cuts like a beast.The only issue I have is with the blade guard is at the end of its adjustment and still rubbing the upper wheel (see pictures). It is easily fixed by modifying the guard but not sure why I have to do that on a brand new saw. Other than that, I have a big batch project coming up that will put this saw to the test....I have all confidence it will stand up to the job! 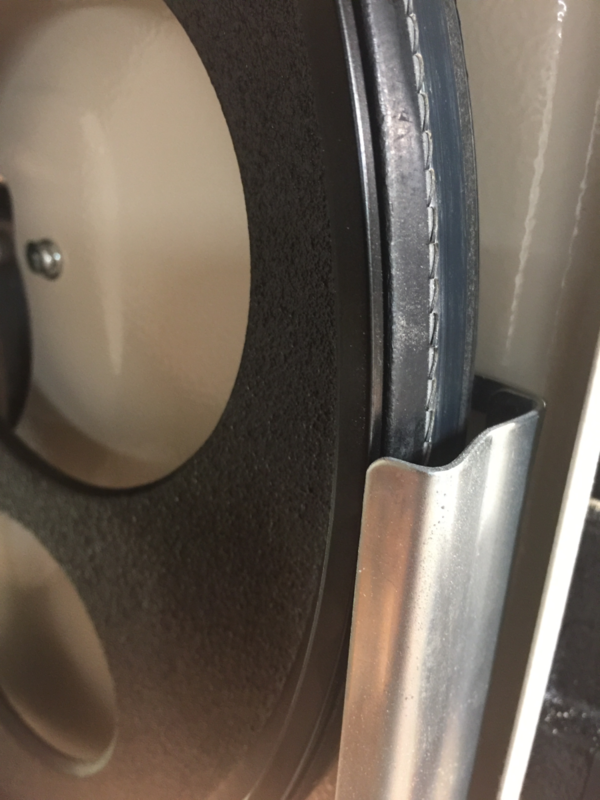 The 3/4" blade I purchased separately for the saw seems to be too large for the machine. Probably best not to exceed a 1/2 inch blade. 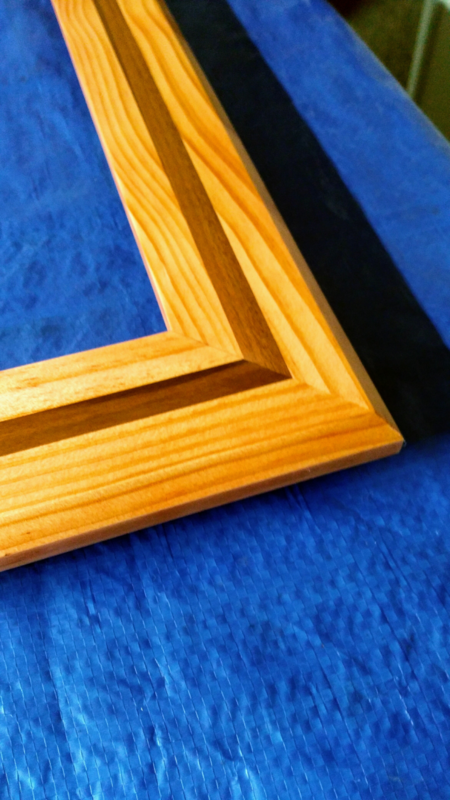 Otherwise, pleased with the quality of the bandsaw. Not too impressed with the delivery process. There was damage minor was it was delivered. Contacted Grizzly immediately and all parts were delivered within a week.